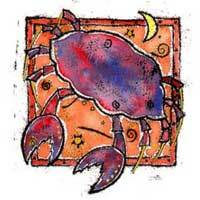 The harmonious relationship with Cancer is due to the Moon, that governs the sign of Cancer, which combined with Pluto, promotes a constructive relationship. It is possible to marry a Cancer, due to your desire to settle down. Cancer affects areas related to long-term plans. Look well ahead, make adjustments, start to use your skills more intelligent, start an investment program, and begin to win power. This power should be concentrated on one purpose, and Cancer will help you find that purpose. You also manage to find a place that you can call home. Both of you are elements of water, both are sensitive, and between you there is a connection, so that when a Scorpio gets to know a Cancer, it's like he has known them for a lifetime. The attraction is manifested mentally, emotionally and physically. This is not a utopia, as it is true that not every Scorpio is a match. There is nothing sensational in this relationship, it evolves gradually, and has a solid base. 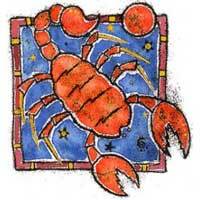 If Scorpio is patient, obedient, mature and receptive, they may find happiness and fulfillment in a relationship with Cancer. In fact, everything depends on the Scorpio.